I am glad to see that the conversation about Denton’s energy future has expanded beyond its initial “A or B” framing. DME now has projected costs and emissions for four options and they have said that they are open to exploring still more. 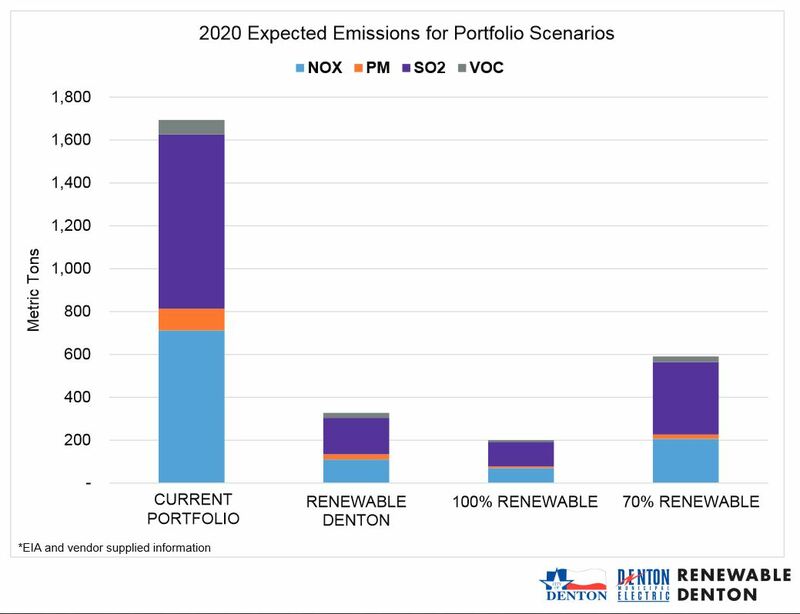 At this point, I think I agree with Devin Taylor who argued last night very strongly against the idea of investing in power plants that will rely on a volatile fuel with big uncertainties about its future costs. He further argued that the best option is to not push for a specific renewables target by a date, but set a long term goal of low cost renewables at ever increasing percentages and take advantage of opportunities when they arise. As more wind and solar come online, they’ll present good opportunities to make power purchase agreements (which will be low risk, because they’ll have long-term fixed prices) and we can ride the wave of low-cost renewables stepwise up to 100%. In short, there is such a revolution in renewables now that it is becoming a game changer. Now (at the cusp of massive LNG exports and looming carbon taxes) is not the time to lock into a natural gas plant. We want to be flexible so that we can take advantage of the boom in renewables, including possible utility-scale storage technology. Let me also say a word in favor of the 100% option as presented by DME. It has the lowest emissions profile. It also has a much lower total projected annual expense than our existing portfolio. DME has not yet posted their comparative rates chart online. But from what I could glean at the public forum, the 100% renewable option would entail a slight rate increase. For the average electricity customer, I was told that we’d be looking at an increase of around $6/month over the existing portfolio (though I am confused as to how the total projected annual expenses can be lower while rates are higher). Now this is where social justice concerns might clash with environmental justice concerns. For many families in Denton, a rate increase of $72/year might be a noticeable financial burden. I don’t think we should purchase a greener future on the backs of the poor. That may be one reason to step incrementally into renewables. It seems as though we have a discounted rate for more energy consumption. We could change that. We could apply that change to residential and commercial or just one or the other. Also, as far as I can tell, DME has the typical throughput incentive model where they make more revenue by selling more electricity (there was a telling moment at an event last night where someone suggested that DME would love to have big energy consumers move to town…suggesting to me that they make more money the more electricity we buy). That’s a perverse incentive structure. There are also ways to change that – e.g., via decoupling. Nationwide, residential electricity consumption is more evenly distributed than income, but there are still disparities. The top 10% of the income bracket consumes 24% of total residential electricity. It makes me wonder. Even if we are looking at a $7/month rate increase, that doesn’t seem insurmountable. Seems to me like with a bit of creativity we could distribute that burden across those who can afford to pay a bit more. After all, being a public utility, means we are all in this together as a community.